A cause of South African malaise since 2010 and beyond has been the shortage of electricity. This shortage transcended more than just social divisions (rich and poor, influential and powerless), it also had a direct impact on the most sophisticated economy in Africa – one that is highly dependent of uninterrupted power. This was the backdrop to President Jacob Zuma’s nuclear cooperation deal with Russian company Rosatom in 2013, with a further agreement in 2016. Zuma’s government has also had conversations with potential nuclear suppliers in South Korea and the United States. Throughout, Zuma’s nuclear initiative has hardly been transparent, and Zuma’s critics saw the likelihood of contract “irregularities” that would benefit Zuma’s cronies, the Gupta brothers, and perhaps Zuma himself and his family. However, at present there is no longer a power shortage, and load shedding has stopped. The new power abundance appears to be as a result of new generating plants coming on line and a static, possibly declining, demand for power associated with the lack of economic growth. Meanwhile, the Western Cape High Court has ruled that Zuma’s Department of Energy’s deals with “foreign governments” did not follow legal procedures- yet another example of the independent South African judiciary stopping Zuma dead in his tracks. Even during the period of power shortages, many South Africans were dubious about a nuclear energy program. There was concern about its costs and its safety. Though it was the opposition parties that were most vocal, there was significant anti-nuclear sentiment within Zuma’s African National Congress, a reminder that the governing party is hardly monolithic. Further, renewable sources of power are becoming cheaper–and the end of load shedding has made nuclear power less compelling. 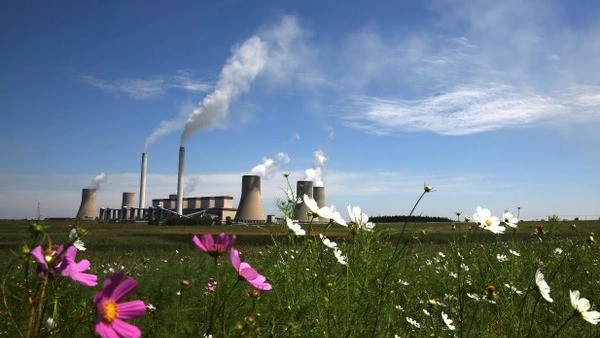 The court ruling addressed the process by which Zuma was seeking a nuclear agreement with the Russians, not the issue of nuclear power in general. So, the Zuma government could continue to pursue a nuclear agreement through methods that would pass legal muster. However, it is unlikely that one can be achieved before the ANC’s 54th National Conference in December, where the betting is that Zuma will be replaced as party leader. Hence, under these circumstances, there is a reasonable chance that Zuma’s ambitious and expensive nuclear power initiative will cease to exist.